Relationship of Warrenton, Groveton, and Chantilly to the Manassas Battlefield. Upon learning of the Union withdrawal, Lee sent Jackson on a wide flanking march, hoping to cut off the Union retreat. On September 1, 1862, beyond Chantilly Plantation on the Little River Turnpike near Ox Hill, Jackson sent his divisions against two Union divisions under Maj. Gen. Philip Kearny and Maj. Gen. Isaac Stevens. Confederate attacks were stopped by fierce fighting during a severe thunderstorm. 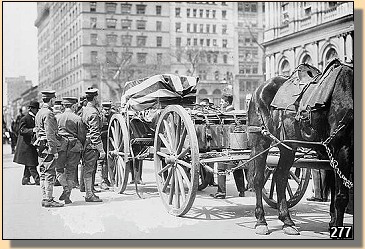 Union generals Stevens and Kearny were both killed. Recognizing that his army was still in danger at Fairfax Courthouse, Maj. Gen. Pope ordered the retreat to continue to Washington. With Pope no longer a threat, Lee turned his army west and north to invade Maryland, initiating the Maryland Campaign and the battles of South Mountain and Antietam. 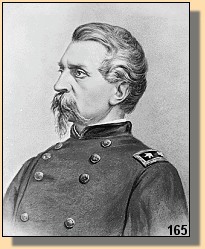 Maj. Gen. George B. McClellan assumed command of Union forces around Washington. Picking up debris of trains after Pope's retreat during Second Manassas. 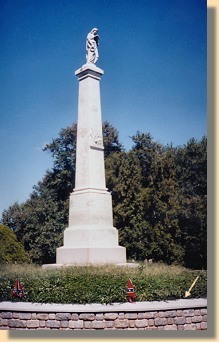 After the Second Manassas Battle, in 1862, over six hundred Confederate soldiers, who died as a result of the battle, were buried in the Warrenton Cemetery. Each soldier was identified by a wooden marker but, during the winter of 1863, Union troops pulled up the markers and burned them for firewood, leaving the location and names of the Confederate dead lost to history. In 1877, the bodies were removed from their unmarked graves and reinterred in a mass grave beneath a 25-foot granite stature erected in their honor by the Ladies of the Memorial Association of Fauquier. To the Six Hundred Dead. In 1998 a wall was placed around the monument bearing the names (see arrow) of 520 Confedederate soldiers who were determined to be buried there from hospital records in the National Archives.